For years we have talked about visiting Key West, but we were put off by its party central, wasted-away in Margaritaville reputation. And yet it hovered on our list because of our friends’ enthusiasm about its eccentric personality and tropical allure. And there were the literate types like Hemingway and Tennessee Williams and even Robert Frost who found it compelling. Finally we had to see for ourselves, so we spent three days in Key West from March 11 to 13. Though we did a modicum of research prior to our departure, we learned several major lessons that would have made our trip much more enjoyable if we'd had the knowledge beforehand. 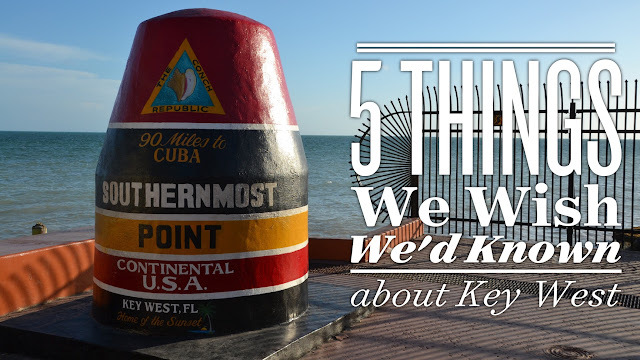 Time after time we've read that March to May is the best window to visit Key West—after the busy and expensive winter season and before the heat of summer and hurricane threats of fall. 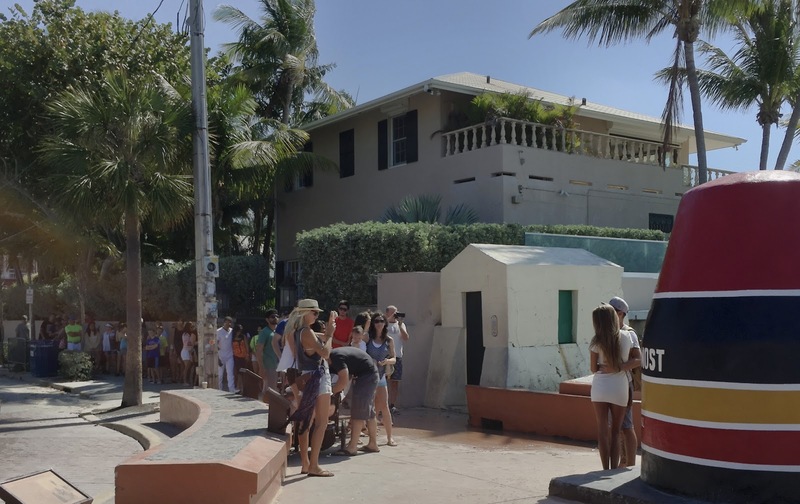 What all the advice failed to mention is that Key West has become a popular spring break destination for college students. And that the second and third weeks in March are prime spring break time. In blissful ignorance, we planned our visit smack in the middle of the spring break frenzy. And as we have experienced on numerous occasions, groups of high school and college kids often wreak havoc in hotels. We like to think it’s because they simply haven’t been taught hotel etiquette, but the desk clerk at the Doubletree told us a group of rowdy breakers had destroyed furniture in their lobby the night before we arrived. That goes a little beyond bad manners. 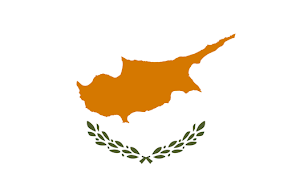 Had we but known of the scheduled invasion, we could have easily gone at another time and missed the frat parties we've forgotten how to enjoy. 2. Find a place to stay in Old Town. Ever eager to cultivate our Hilton points account, we booked a room at the Doubletree, which is actually located a bit east of the city of Key West. The hotel runs a shuttle service into downtown, and we were foolish enough on our first night to believe the hotel staff’s horror stories about the Gordian knot of traffic downtown. Not wanting to wait 45 minutes for the shuttle bus to leave, we left our car at the hotel and opted to take a taxi. When we arrived downtown, we wondered what all the fuss was about. Traffic was not that bad, but there we were without our car so it didn’t really matter. After we walked around a bit and spent some time relaxing on the porch of a wine bar in a historic home, we returned to the Doubletree by taxi—having paid $60 in taxi fares to learn a lesson about blindly accepting someone else’s judgment without testing the water ourselves. Not until our last morning in Key West, after we had decided to cut a couple of days off the trip, did we really explore Old Town. Then we understood that we should have rented a cottage in that area. By that point it was too late to change course. 3. See the town on foot or bicycle. As mentioned above, traffic, though not as overwhelming as we were led to believe, is a bit of an obstacle in the town. Trolling through the streets in our car, we would see a place we might like to check out, but by the time we found a parking space a block or two or three away, it was sometimes difficult to retrace our steps to the place we wanted to visit. Scooters, golf carts and other vehicles are widely available to rent, but still leave you with a parking issue. 4. Find your way beyond the superficial façade and talk to some locals. No doubt Key West caters to tourists and attracts them by the thousands. Even when spring is not breaking in full force, cruise ships are spewing hordes of tourists onto the streets almost daily. We learned a bit late that if you’re not careful to leave Duval Street, where the souvenir shops and trendy nightspots beckon to the casual tourist, you will never encounter any locals, who can tell you what the real Key West is all about. 5. The scenic Overseas Highway is not all that. 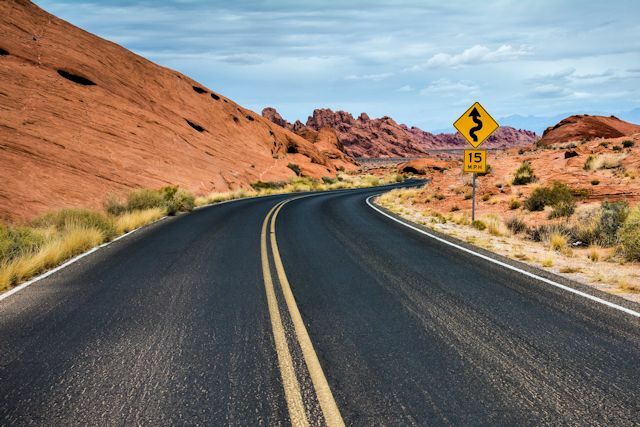 We have traveled extensively in the United States, having visited most states multiple times, and we’ve had the pleasure of seeing some amazing scenery. After considering the efficiency of flying directly to Key West, we rejected the idea because of the reputation of the Overseas Highway as one of America’s most scenic routes. That was most definitely not our experience. When you search Google for images of the Overseas Highway, the vast majority of photos at the top of the search results are aerial shots. And they are breathtakingly beautiful. Driving on the highway is another experience entirely. In our Acura MDX, your eye level is about five feet above the road surface. 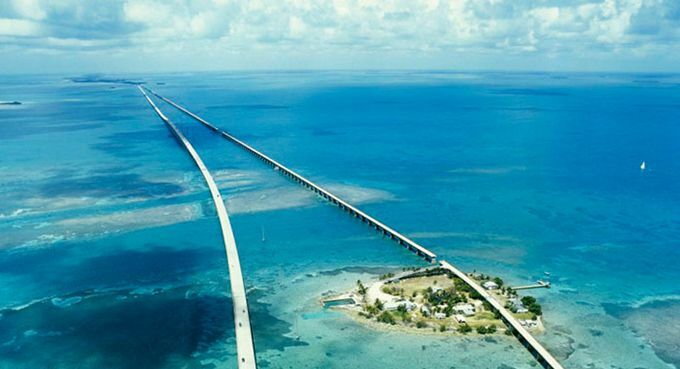 At that height, you do not see the “teal waters dotted by distant islands.” Even on the famous Seven Mile Bridge, you see precious little water. You see mostly bridge. The cameras mounted atop the Google Street View cars sit another five feet higher, about the same level as the driver of a semi truck, and their view is considerably better, though still nothing like the aerial shots would lead one to expect. Even an RV would have a better viewing angle. Assuming we won’t be driving any of those vehicles, if we ever return to Key West, maybe we’ll just fly. By far the best part of our trip was the flight to Dry Tortugas National Park, 70 miles beyond Key West between the Atlantic and the Gulf of Mexico. Rejecting the notion of a three-hour ferry ride out and three back, we opted for transport by Key West Seaplane Adventures. In a ten-passenger seaplane, we reached the visitor center at Fort Jefferson in just forty minutes. Though we opted not to, quite a few people were snorkeling off the island and proclaimed it great. We took the self-guided walking tour of historic Fort Jefferson, started in 1846 to control navigation into the Gulf of Mexico and protect Atlantic-bound Mississippi River trade. Though never completed and finally abandoned by the Army in 1874, the fort did serve as a Union military prison during the Civil War. Its most famous inmate was Dr. Samuel Mudd, convicted of conspiring with John Wilkes Booth in the assassination of President Lincoln. After the doctor stemmed the spread of a yellow fever epidemic at Fort Jefferson, he was later pardoned by President Andrew Johnson. 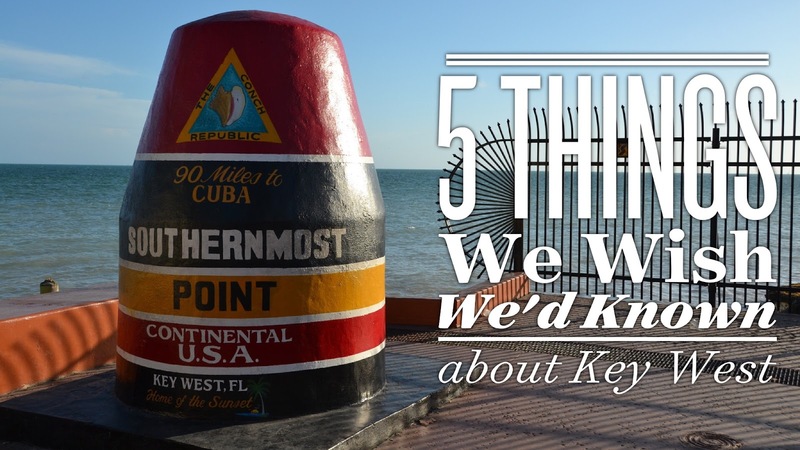 Now that we've learned what not to do, we may return to Key West one day. It certainly does have its charms and armed with a little bit of knowledge, it could be a lot of fun...just as so many people have told us. As the photos below suggest, that tropical atmosphere does confect some appealing eye candy. Lined up for a photo op at the famous Southernmost Point "buoy"
But don't get caught letterboxing in the Key West Cemetery! Grave shelters offer protection from the heat and rain for the deceased and their visitors. Where US 1 begins (or ends). The northern terminus is in Maine at the Canadian border. At Robert Is Here, a goat visits the shell station. At Dry Tortugas NP, a wheelchair made to be used in sand!